"It’s a great honour and pleasure to be welcomed into the world of Paiste. With so many great artist, past and present rocking Paiste. I’m stoked to be a part of it- My set up sound insane, great tones with plenty of cut... and the Reflector finish looks so PIMP!! On stage. Good enough for Bonham." Mondo has been actively engrossed in the world of beats, percussion but mainly drum kits from the age of 10, after 4 long years of begging and pleading his parents finally caved in and purchased him a kit. While in Auckland New Zealand Craig studied Jazz percussion for 3 years with well-respected Frank Gibson Jr, Drum City AK - (Lady Hawks step father) and soon became one of his favourite students. Making a move to Sydney 2001 proved to be a busy one, touring and recording with a number of local bands and artist. 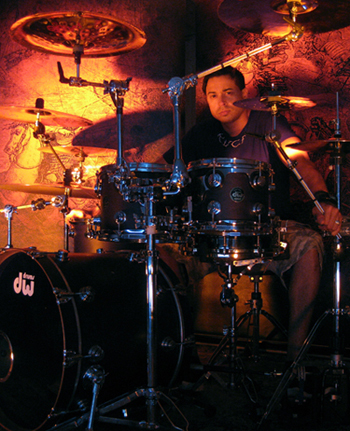 Mondo spent most of 2008-2010 touring as a session drummer & drum tech in the UK and throughout Europe, upon his return to Australia he joined heavy rock act Thousand Needles in Red. After releasing & touring the band’s debut album 'Empires' for most of 2011-12 the band called it a day after artistic differences. Not long after (late 2012) Mondo formed ManaLion with good friends 'Duan & Only' & 'Slam Duncan'. The trio has become a well known Dirty Roots, Rock, Dubtronic Reggae, Electo Soul group. Fat Freddys Drop, The Black Seeds, Meta & the Cornerstones, Shapeshifter, Kora, Trinity Roots, Ladi6, Sons of Zion, David Dallas, P-Money, Katchafire, House of Shem, Julian Marley, Rebel Souljahz, Anuhea, Mat McHugh & The Beautiful Girls. ManaLion's debut Album 'Back in the Day' is out now available on itunes & selected stores.